Mr. Rajah Nanayakkara is the Founder and Executive Chairman of Ishara Traders (Pvt) Ltd, a business which pioneered the import and sale of new and reconditioned motor vehicles. Thirty years later, this organisation remains an industry leader. He was also the Founder Chairman of the Motor Vehicle Importers Association of Sri Lanka, and continues to play a significant role to this day. Mr. Nanayakkara is also the Chairman of Ishara Plantations (Pvt) Ltd - an Award Winning Estate of Tea and Spices - and Chairman of Ishara Property Development, a company which has been involved in construction for the past 18 years. 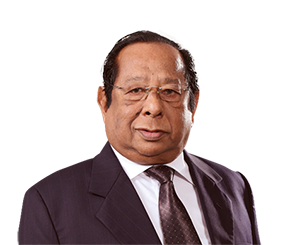 Mr. Nanayakkara also serves on the Board of Brown & Company PLC, as well as Browns Investments PLC. Ishara Nanayakkara is a prominent entrepreneur serving on the Boards of many corporates and conglomerates in the region. He initially ventured into the arena of financial services with a strategic investment in LOLC PLC and was appointed to the Board in 2002. Today, he is the Deputy Chairman of LOLC Group, holding directorships in many of its subsidiaries and associate companies. His vision to cater to the entire value chain of the finance sector manifested in the development of Microfinance, Islamic Finance, factoring through LOLC Factors, LOLC Life & General Insurance Companies and stock broking through LOLC Securities Ltd. Leveraging LOLC Group’s expertise in the SME sector, the expansion into the Micro Sector was spearheaded by Mr. Nanayakkara, through former LOLC Micro Credit Ltd, and LOLC Development Finance PLC. This interest in microfinance led to the growth of LOLC Group’s international footprint, starting with an investment in PRASAC, the largest microfinance Company in Cambodia, followed by the inauguration of LOLC Myanmar Microfinance Company Ltd, a green field investment in Myanmar in which he was the founding Chairman, as well as his strategic involvement in LOLC Cambodia Ltd; the 5th largest microfinance company in Cambodia. Building upon his forte in microfinance, LOLC Group has further expanded its offshore portfolio with Mr. Nanayakkara serving as a Director of Pak Oman Microfinance Bank Limited, a joint venture based in Pakistan between the governments of the Islamic Republic of Pakistan and the Sultanate of Oman. 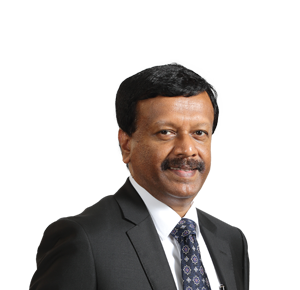 Mr. Nanayakkara’s motivation to expand into various growth peripheries is further illustrated through his role as the Executive Chairman of Browns Investments PLC. Through various strategic investments, he is committed to catalysing development in the growth sectors of the Sri Lankan economy. Endorsing his entrepreneurial spirit, Mr. Ishara Nanayakkara received the prestigious ‘Young Entrepreneur of the Year’ Award at the Asia Pacific Entrepreneurship Awards (APEA) in 2012. He holds a diploma in Business Accounting from Australia. Key appointments: Deputy Chairman – LOLC PLC & Seylan Bank PLC, Executive Chairman - Browns Investments PLC, Chairman - LOLC Life Assurance Ltd, LOLC Development Finance PLC, Director - Associated Battery Manufacturers (Cey) Ltd, PRASAC, the largest microfinance Company in Cambodia, LOLC Myanmar Microfinance Co. Ltd, Pak Oman MFB, LOLC Holdings (Pvt) Ltd, LOLC Asia (Pvt) Ltd, LOLC International Private Limited & LOLC Private Limited. 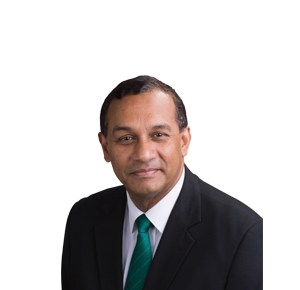 Kapila Jayawardena holds a MBA in Financial Management and is a fellow member of the Institute of Bankers and an Associate Member of the Institute of Cost and Executive Accountants, London. He served as Country Head and CEO (Sri Lanka and Maldives) of Citibank NA from 1998 to 2007. ⦁ Board Member of the United States – Sri Lanka Fulbright Commission. 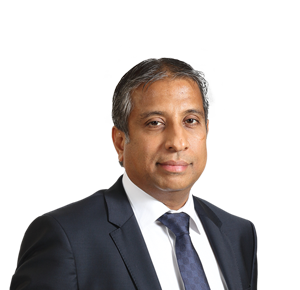 Kapila Jayawardena joined LOLC in the year 2007 as the Group Managing Director/CEO and is the Chairman of the following companies and is also on the Boards of the subsidiaries of the LOLC Group. 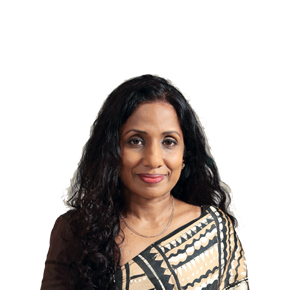 Deshamanya M. D. D. Pieris is a graduate of the University of Ceylon (Peradeniya); Fellow of the Chartered Management Institute, UK and has been conferred the Degree of Doctor of Letters (Honoris Causa) by the University of Colombo. Doctor of Letters (Honoris CAUSA) by the University of Westminister and the title of Honorary Senior fellow by the Post graduate of Institute of Medicine. He is also “A Distinguished Fellow” of the Institute of the National Security Studies – Sri Lanka. His career was in the then Ceylon Civil Service and later, on the abolition of that service, in the Sri Lanka Administrative Service. He had a distinguished career in the public service and held several important posts, including that of Secretary to the Prime Minister; Secretary, Ministry of Public Administration, Provincial Councils and Home Affairs; Secretary, Ministry of Agriculture, Food and Co-operatives; Secretary, Ministry of Education and Higher Education and Chairman and Director General of Broadcasting. He has also acted on several occasions in addition to his duties, in the posts of Secretary to the Ministry of Defense and External Affairs and Secretary to the Ministry of Trade and Shipping. 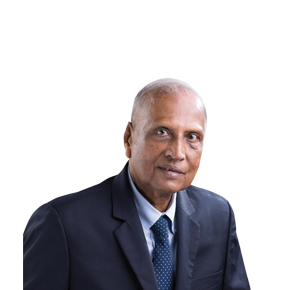 He has at various times been the Chairman of the National Institute of Education, Chairman – Board of Management of the Sri Lanka Institute of Development Administration; and Chairman of the Agrarian Research and Training Institute and Chairman of the Public sector Infrastructure Development Company. He has also served on the Governing Councils or Board of Management of several Universities and Postgraduate Institutes, including the council of the University of Colombo, the Board of Management of the Post Graduate Institute of Medicine, the University of Colombo School of Computing, the council of the Buddhist and Pali University, the Board of Management of the Arthur C Clarke Centre of the University of Moratuwa, and the Post graduate Institute of Archaeology of the University of Kelaniya. He has been a Director of Peoples’ Bank, People’s Merchant Bank PLC and a member of the Rural Credit Advisory Committee of the Central Bank. He has served as a member of the National Salaries Commission and as a member of the Presidential Commission on Finance and Banking, and has chaired three Presidential Committees – one to examine and report on proposed mechanised gem mining in the Kalu Ganga; the other on the functioning of the Survey Department, and the third on the Sri Lanka Foreign Service. Currently, he is the Chairman of the Board of Management of the Institute of Information Technology and serves on the Board of Directors of LOLC, the Governing Board of the Regional Centre for strategic studies, on the Board of Management of the Institute of Indigenous Medicine of the University of Colombo and on the Board of Management of the School of Computing of the University of Colombo. He is also a member of the Academic Affairs Board for Post Graduate Studies of the Sri Lanka Institute of Development Administration (SLIDA), the Board of Management of the SANASA Campus, a director of the MMBL/ Pathfinder Group and a member of the Board of Governors of Vidyodya Privena, Maligakanda. Deshamanya Pieris also lectures from time to time on invitation at SLIDA, the Defence Services Command and Staff College at Sapugaskanda, the Bandaranaike International Diplomatic Training Institute and the Kotelawala Defence University. He has delivered four convocation addresses at the University of Colombo, Sri Jayawardenapura, Ruhuna and the Open University. Ha has, also on Invitation delivered three memorial orations – the Lalith Athulathmudali Memorial Oration, the Sir Ponnambalam Arunachalam Memorial Oration and the Vidyajothy Professor V K Samaranayake Memorial Oration. He has been conferred the high national honour of DESHAMANYA for distinguish service of a highly meritorious nature to the nation. He has published his memories of his experience in the Public Service of Sri Lanka in a book entitled “In the Pursuit of Governance”. Ravi Fernando is a Blue Ocean Strategist with a sustainability mind set. He is an Alumni of the University of Cambridge having completed the Climate Leadership Programme in 2007, a Post Graduate Certificate in Sustainable Business at Cambridge University in 2008 and a Master of Studies in Sustainability Leadership at Cambridge University in 2014. He was a Wolfson College alumni at Cambridge University. He holds a Doctor of Business Administration Degree from the European University in Geneva 2016. He also holds a MBA from the University of Colombo and is a Fellow of the Chartered Institute of Marketing (UK), He holds a Diploma in International Management and completed the Advanced Management Program at the INSEAD Business school in (France). He was the United Nations Global Compact Focal point for Sri Lanka 2003-2010 and was the founder of the UN Global Compact Sri Lanka network in 2010 and is a Director of UNGC Sri Lanka Board. He is Chairman/CEO of Global Strategic Corporate Sustainability Pvt. Ltd which currently operates in Vietnam, Sri Lanka and China. He also serves as a Director on the Boards of Aitken Spence Plantations Limited, Ceylon Asset Management Ltd and Habitat for Humanity. In Academia, He was a visiting faculty member of the INSEAD Advanced Management Program from 2005-2010 teaching the subject ‘Strategic Corporate Sustainability’. He is an Executive in Residence at the INSEAD Social Innovation centre since September 2010 to date. He is also on the visiting faculty of the Deusto Business School (Bilbao) and Univiersitat of Pompeu Fabra (Barcelona) in Spain and University of Colombo MBA teaching ‘Strategic Corporate Sustainability’. BABSON College published three Case studies on his work experiences in Kenya and Vietnam in the GVV series in 2012-14 and was involved in over 7-8 Case studies at the INSEAD business school between 2006-2010. In November 2015 he published ‘Strategic Corporate Sustainability – 7 Imperatives for Sustainable business’ (Partridge: Penguin Random House), based on his work at Cambridge University. In September 2007 he won a “Global Strategy Leadership award” at the World Strategy Summit for his work on Ethical branding in the Apparel and Tea sectors receiving the award from Prof Renee Mauborgne of INSEAD business school. Kalsha Amarasinghe holds an Honours Degree in Economics and has an outstanding vision for investments. She serves on the Boards of subsidiaries of Browns Group of Companies and LOLC PLC. Other key appointments: Executive Director –LOLC PLC, LOLC Finance PLC, LOLC Life Assurance Limited, Palm Garden Hotels PLC, Riverina Resorts (Pvt) Ltd, Eden Hotel Lanka PLC, Brown & Co. PLC, Browns Investments PLC, Browns Capital PLC, Green Paradise (Pvt) Ltd, Sun & Fun Resorts Ltd and Browns Holdings Ltd.